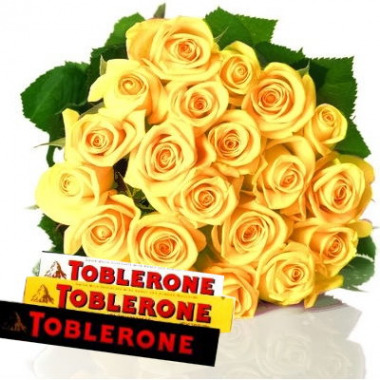 24 Yellow Roses Bouquet with Toblerone Chocolate 3 bar (100g) each. Your purchase includes a complimentary personalized free message card. Delivery Area : Anywhere in the Philippines. 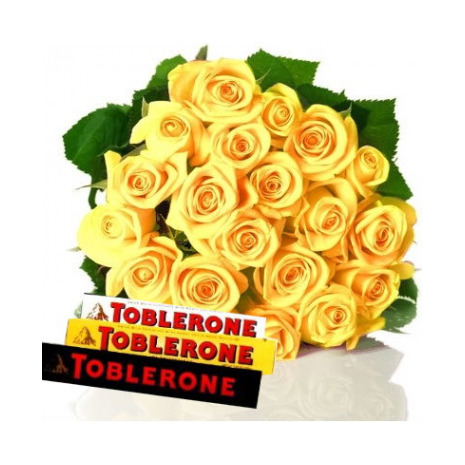 24 Yellow Roses Bouquet with Toblerone Chocolate 3 bar (100g) each.